Martyn Hilbert's Railway Photography - Preston & District - Class 45 45058 at Leyland. Class 45 45058 at Leyland. A Tea-Time Liverpool Lime Street to Preston working, provided an out and back working for a variety of motive power that was spare in between turns at Liverpool. 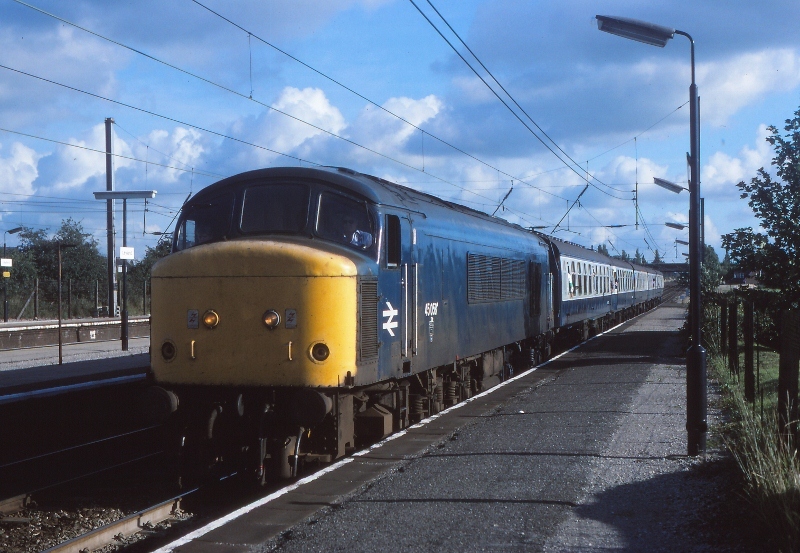 For a period during 1986, Class 45s off the TransPennine services were frequently used on this one service. Never a common sight previously in the Preston area, 45058 arrives at Leyland with the service to Preston on the 28 August 1986.